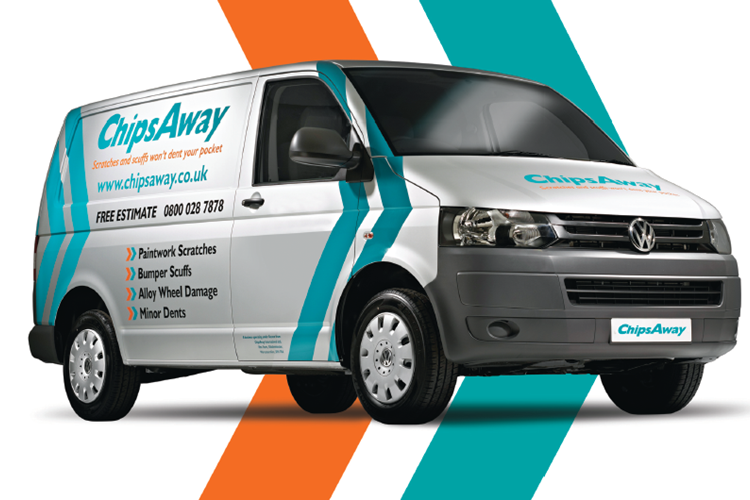 Andrew has been a ChipsAway franchisee since 2011, and over the last 5 years has grown into one of the most successful franchisees in the network, running a single van and car care centre, and managing a team of highly trained employees. Andrew Cornell was awarded the coveted title of Franchisee of the Year 2016, and has also won Business Mentor of the year for the three years in a row from 2014-16! This is the second time Andrew and Shaun have repaired my DB9. The work is to such a high standard that an Aston main dealer could not identify where, on the car, their work was done - High praise indeed. I would 100 per cent recommend these guys. Great Service at ChipsAway Guildford - I highly recommend Andy and his team at ChipsAway Guildford. My car had been badly scratched with a couple of dents, and the quality of work and repair carried out by ChipsAway Guildford was excellent. Excellent communication, fast working, reasonably priced and a brilliant end result. I just wanted to say a huge thanks to Andy from your Guildford branch for the excellent service he provided this morning. I called him at 8:30 to let him know that my lease car needed to be returned this morning by 10am but had a few scuff marks and scratches on the wheel arch and the door. I drove to the workshop within half an ... Read more hour and he made the car look like the marks and scratches never existed. I managed to get the car back to the lease depot by 10am and they were very pleased with the condition I handed it back in. Needless to say, I will have no hesitation in recommending Andy to anyone I know who needs this kind of service. He certainly saved my bacon this morning! Excellent, professional service. Andy’s team did such a good job on a rear door damaged by a shopping trolley, we took a second car to have a dent removed from the rear hatch. Once again his guys excelled and both cars look like new. I would recommend ChipsAway Guildford without hesitation. Dear Andy, thank you for fabulous repair on my car, l was so impressed, not just the repair, but excellent customer service, l would without a doubt. recommend you and your team, many thanks Marion. My Car looks like new again!! Over a period of years I acquired various scratches and bumps on my Honda Hybrid and decided the time had come to have them all fixed. I contacted Andy in Guildford for a quote and went ahead a week ago. My car's bodywork now looks like new again and to make it all look absolutely perfect I got new ... Read more number plates too. It's hard to believe my car is now ten years old as it looks super. Many thanks to Andy, Sean and the team at Chips Away, Guildford. Although I was nervous about using a mobile chips and paint fixer, Andy took the time to explain the methods used for the different refurbishments and the likely results. The work was a full alloy wheel refurbishment and some work to the car itself including come scuffs to the paintwork. The result was excellent and I will ... Read more definitely be using Andy in the future should any future cars I own need a bit of tlc without question. A straightforward, efficient organisation. I live in Guildford, Surrey and emailed Andy who runs the local franchise. He visited me a couple of days later, found the damage required my car needed to be repaired in their workshop, arranged to pick up my car at 08:45 a week later and brought it back mid-afternoon. The repair looks ... Read more perfect and is nearly £200 less than a garage's quote. If there'd been less damage the repair would have been carried out on my drive (I scraped the nearside against a protruding low level brick wall). An excellent service altogether. I would like to record what excellent service received here. Prompt, efficient & friendly .The repairs are first class, one cannot "see the join". It is as though there was never any damage. Very pleased, all round excellent service. Thank you so much. Andy repaired a nasty dent and scratching in one front wing and scratches on the other wing of my Lexus convertible recently. The whole process was extremely professional, from the initial contact through to delivery of the completed repair, which was all done at my convenience. The cost was precisely as quoted with no surprises and ... Read more massively cheaper than the dealer quoted. The repair itself was excellent and I would highly recommend Andy's service. Cheerful, on time, did as expected. Very happy. First class service, very professional. Arrived as arranged and carried out the repair to an excellent standard. Wouldn’t hesitate recommending Chips Away. Thanks for the great work and excellent attitude from Andy, in all the process from start to finish to my Lexus. Even the team were helpful and responsive. I will be coming back to these guys if I need anymore work done and I will definitely recommending Andy and Chipsaway/Guildford to my colleagues and friends. Well done to all.. Took care of several scrapes and scuffs around the car, looks brand new. Quick and professional, all done on the drive which made it very convenient. After a brush with a hedgerow, there was scrape on my nearside door and sill. ChipsAway in Guildford did a brilliant repair job which is completely invisible. I was so impressed that I asked them to fix some scratches on our other family car. This time they came out and did the work at my home. Both jobs were carried out to a very high standard by a friendly and skilled team.